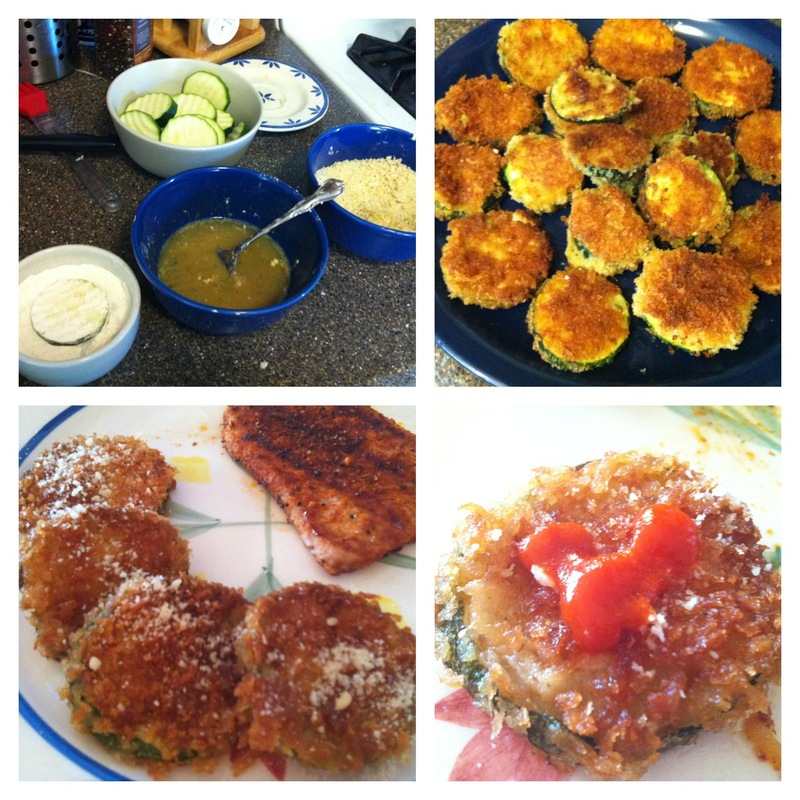 Panko Fried Zucchini Rounds were a hit around here and super easy to make. They are a balance between healthy and tasty fried snack. Consider each portion to be 1/2 to 3/4 of a medium zucchini (5-7 pieces), makes about 4. Cut zucchini into rounds or sticks for fries. Set up your bowls like shown. 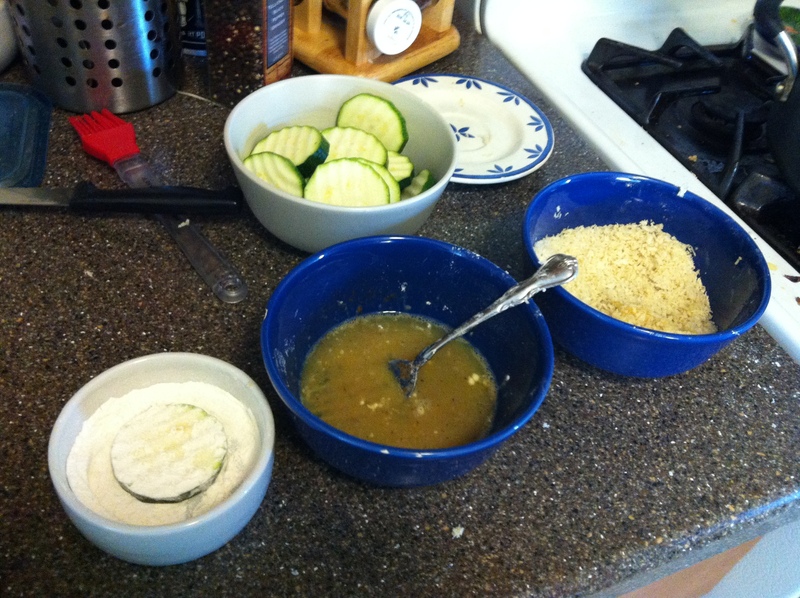 First step, put the flour In a small round container, dip both sides of zucchini in flour lightly. Second – Add beaten egg and little bit of water to next bowl. Dip each piece of zucchini covered in flour in the egg liquid. 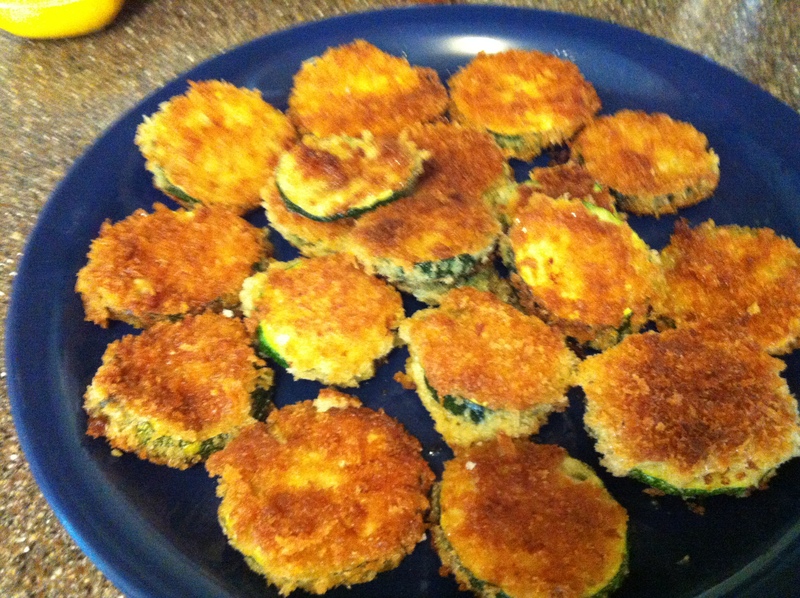 Then put the zucchini in the panko crumbs soaking up all of the moisture. Make sure it’s well covered in crumbs patting them into the zucchini. You can dip them twice, but they tend to be very bready. Then add to an oiled pan or these can be baked. I use a medium frying pan with a little oil and add them on medium low heat. I don’t like them too oily and sometimes use pam cooking spray, it’s up to you. I use the top to cook them inside and hot with a fry/steam type thing. They take about 7 minutes per side t get golden brown.